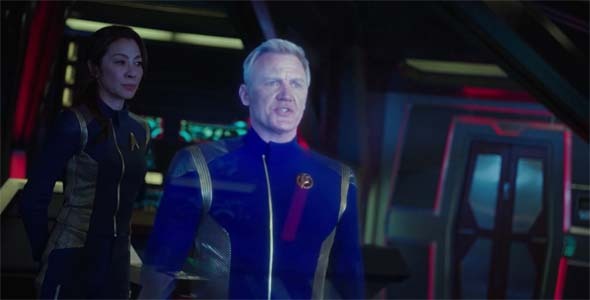 After so many delays, is the Star Trek Discovery pilot even representative of the show? After a myriad of false starts, delays, production problem, bad PR, and generally negative expectations, Star Trek: Discovery finally premiered at the end of September. And the general consensus online seems to be pretty positive. It's not going to be the anthology series that I'd hoped for, but I didn't hate the first two episodes. I really didn't like them either, though. Based on the season preview following the end of the second episode, it seems like it's kind of hard to gauge the series after just the first two episodes. They seem like more of a "prologue" to the main story, rather than part of the main story itself. These first two episodes take place on a different ship, with a different captain and crew, and a different situation than the rest of the show. So I don't know how representative they are going to be of the series itself. 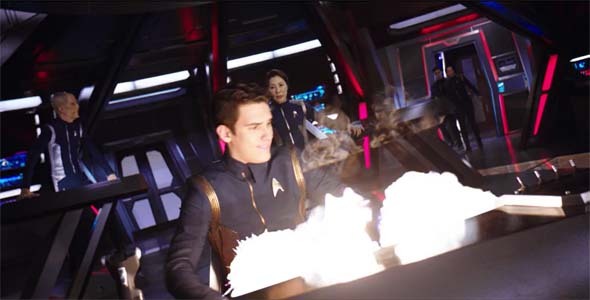 The first two episodes see Captain Georgiou killed and the Shenzhou destroyed. It seems a bit disingenuous (to me) for CBS to air only the first episode and then expect us to shell out $6 a month for the rest of the season. The first two episodes seem like they should have been the bare minimum, but three would have been even better, just so that audiences could see what the series proper is going to look like. Ideally, they should have aired the entire first season and then moved subsequent seasons to the streaming service. As it stands, I still don't trust the show enough to feel inclined to spend the money on a subscription. After all, it could be that the first few episodes were conceived under the direction of Bryan Fuller, and his spat with the studio, and subsequent departure from the project, could have lead to a radical change in direction for later episodes. But then again, those creative differences apparently cropped up before filming the premiere even started, so who knows how much of Fuller's creative vision even survived at all (despite the fact that he's credited as the creator and lead story writer in the opening credits). Maybe I could pay for one month (or do a free trial) and then binge the entire rest of the series? Right off the bat, I had a lot of the knee-jerk reactions that I was expecting to have due to uniform anachronisms, costume and makeup redesigns, and so forth. CBS went to the trouble to recreate phasers and communicators that resemble the ones from the original Star Trek pilot, and apparently even made Klingon blood pink (ala Star Trek VI), but they couldn't be bothered to design ship-specific insignia badges for the uniforms? Everybody wears the delta-shield, which was supposed to be an emblem unique to the Enterprise. It was only adopted as the symbol of Starfleet (as a whole) later, in part because of the increased militarization of Starfleet due to the threat of the Klingons, and in honor of the Enterprise's service. Just as I'd feared, everyone is wearing the same delta shield insignia.